The PVR-802 records at an incredible 2K resolution making it one of the most advanced, professional grade, low light camera pens on the market. It can also record in HD 1080P and 720P modes. 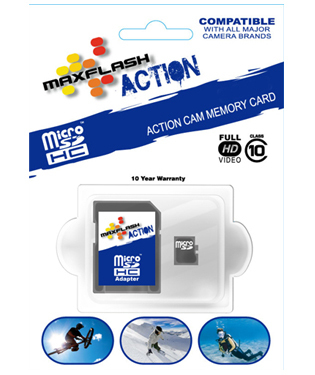 Enjoy fast action fluid motion videos at up to 60fps in 720P mode. Display the time/date on your videos so you know when each one took place. Apply a custom name/label that displays on your videos making it perfect for law enforcement or agency use. Record in motion activation, continuously, or in audio only modes. While in motion activation, the PVR-802 will automatically start loop recording over the oldest video files. The crystal clear video lens makes it a much more effective surveillance tool for professionals. In photo mode, you can discreetly capture photos with a click of a button. The PVR-802 can run off of the internal battery or it can record while plugged in. Put it in motion activation and plug it in for a 24/7 surveillance solution! The PVR-802 lens can easily be concealed when not in use by simply sliding the black cover over the lens, making it undetectable to the human eye. It's incredibly easy-to-use one button powers the camera and toggles recording. To review your recorded footage, simply unscrew it and connect it to your computer via USB. The PVR-802 has 16GB of memory built in and is lightweight and ideal for covert surveillance. The displayed shipping price is for '1' Hidden Covert 2K Low Light Video Pen Camera. To find the shipping cost for all your items, please view your cart.